The osm scene load process is presented to the user as a simple as possible, while still providing a powerful event based interface where full control of the created scenes is given, the client application is notified about the new element along with its properties and user defined properties, so post-process of elements can be implemented if required. The oScene loader library will automatically create and setup the scene manager as defined in the max Scene Properties panel, or the user can choose to create its own scene manager. 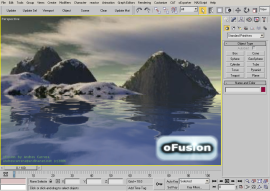 Scene files are loaded in your application with a few methods, and the oScene loader engine will take care of the rest, creating and configuring the scene exactly as exported and previewed in the oFusion viewport.